I have been a professional worm farmer for more than 17 years now and know of many successful worm breeders all over the world the worm farming industry is still widely unknown to large sections of our society. Worm farming is a viable sustainable business idea and can be done virtually anywhere. It can be done on a large scale and support millions and millions of worms or as I described in my book "How to start a profitable worm business on a shoestring budget" be started in a store room, garage or a small backyard. 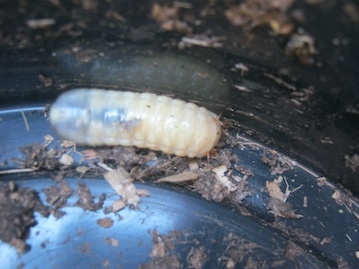 compost worms are prolific breeders. 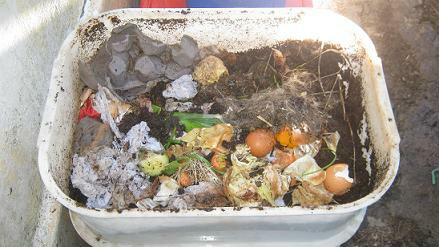 In tough times where many people are struggling to make ends meet worm composting can be a viable way to generate some extra income from the convenience of your home. The future for the worm farming industry is looking bright. It is environmental friendly, assists in recycling organic household-, garden-, food- and animal waste, reduces the production of harmful greenhouse gases like "methane and Co2" and produces worm castings and worm tea which are amongst the best natural plant foods and soil conditioners know to man. 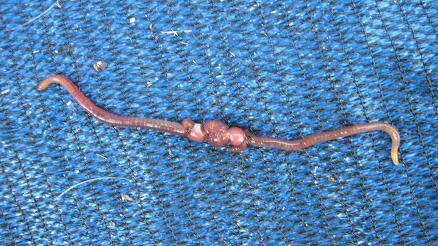 Worm castings as fertilizer for nurseries. Those markets are potentially huge but there are many other ways to find your place in the growing worm farming industry. Share your knowledge as a worm farming consultant with people and organizations that want to start their own worm composting projects. Offer workshops for hobbyists, start a waste collection service...! These are just a few of the ways you could be making money with earthworms. If you are looking to generate some additional income but don't have a lot of money you can invest, than a worm business could be the right thing for you.
" How to start a profitable worm business on a shoestring budget"
is the result of my personal experiences of many years as a commercial worm farmer. I got my first batch of compost worms in 1997 and started my first worm business "Global Worming" in 1998. Although already a multimillion dollar industry, worm farming is still a niche market and the demand for worms is still outstripping the supply till this day. I was working from home and started my worm business from scratch. I started with just one worm bin initially and consistently multiplied my worm herd in my backyard. It took less than 2 month before I started to make some money. Not a lot initially but my worms where breeding like crazy and there where a lot of keen fisherman and gardeners who wanted worms to support their hobbies. Within a year I had developed my own range of worm farms and was selling worms, worm castings and worm tea to private customers as well as to retail outlets. I've worked in many different companies but I must say that compost worms are by far the least demanding colleges or employees I have ever had :-). They don't moan, don't demand a salary, work 24 hours a day, 7 days a week and are happy if i just supply them with some organic waste and keep their home moist and cool. I've run a worm business for more than 15 years and it has been my only source of income for a long, long time now. the printed book or the kindle version Here! believe the book with its detailed step by step descriptions will enable you to start your own worm business and will help you to be making money with earthworms from home or wherever you choose. Market your worm farms, worms, worm castings and worm tea to millions of potential customers, i.e. nurseries, garden centers, fishermen, gardeners, pet owners, private households (that want to recycle their food and garden scraps), restaurants, guesthouses, hotels, zoos...! The list goes on and on! If you are looking for an affordable way to generate extra income from your home or backyard than worm farming can be a great solution for you! The industry is still growing and my book will teach you all you need to know to start making money with earthworms and get your profitable business of the ground. Here is what customers had to say! "This is a great book! 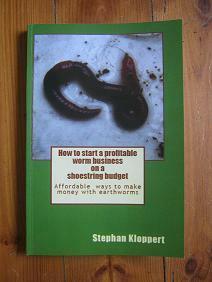 It's well written and has great information for starting a worm business. If you are just interested in increasing your worm herd, it has a section on that too, with detailed instructions on how to do that. No crazy tricks, just straight forward, useable information." "This book is the best I have read on worms. Everything about building a worm farm is described." "This is a great book. The author has written a step by step, easy to read book on worm farming. I found the book informative, well written and oftentimes humorous. It is clear that the author knows his product. I would recommend the book to anyone who is interested in starting a business in worm farming or to avid gardeners and those wishing to do something that is positive for the environment. 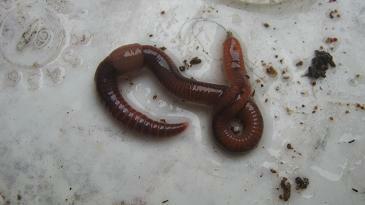 It is a very cost efficient and simple business"
Can one really be making money with earthworms? Detailed list of many potential markets where you could be making money with earthworms. 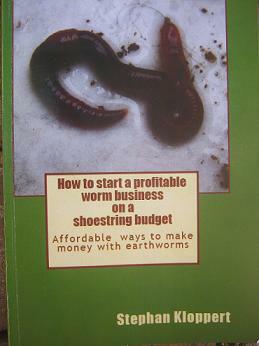 This comprehensive book will show you step by step all you need to know to start a sustainable and profitable worm business and start making money with earthworms. Right now it is offered at extremely low prices!